“They invited me to join a seminar because English is an official language in Nigeria.” It was by pure accident that Babatunde met the director of a school in a nearby village. The men talked and the school’s director invited Mark to tour his institution. 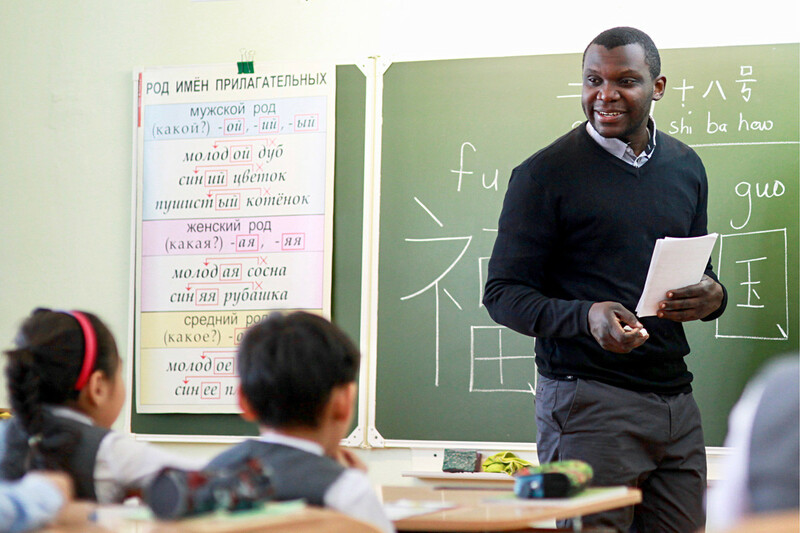 In a matter of days, the Nigerian found himself teaching Chinese in Russia’s Far East. “I never expected anybody to hire me to teach Chinese there,” said Mark. Yet, he was able to foster a deep connection to his pupils. “Most of my students have not traveled out of their region. 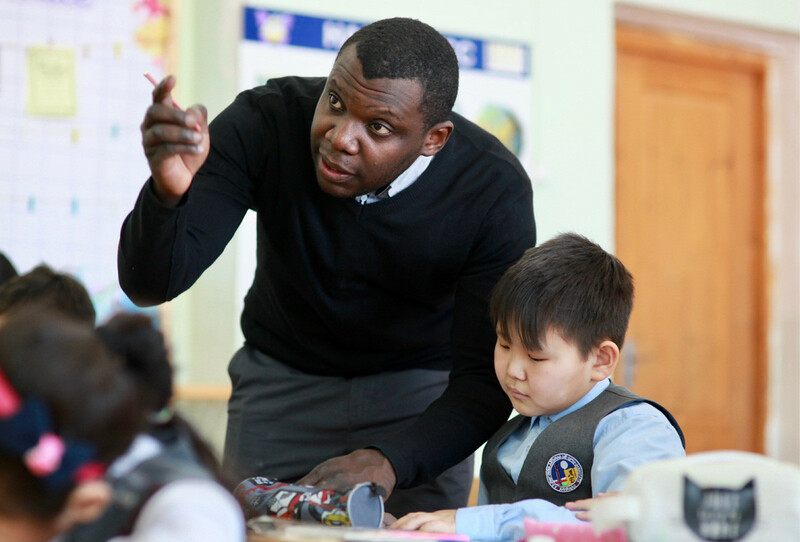 They are very interested in China, Nigeria and about other countries,” said Mark, who tried his best to educate the Yakut children about foreign lands. 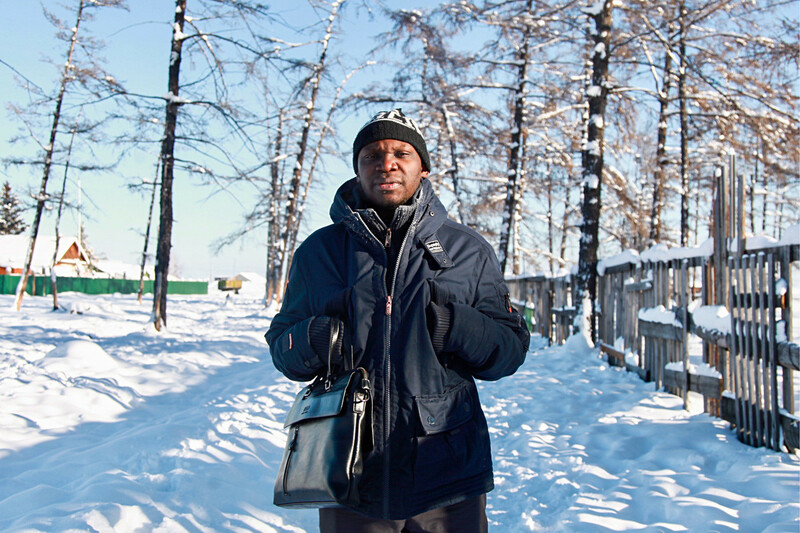 Many things surprised Babatunde when he stepped foot on Russian soil. “The way houses are built (because it’s very cold they build “legged” houses that are elevated off the earth’s surface), the kind of food they eat: they can eat raw meat. I’m not sure I’ll be able to get used to it,” he said laughingly referring to traditional eating habits of the natives of the Russian North. Mark’s fascination with his new home inspired him to launch his YouTube channel where he brands himself as “the northernmost African in the world.” He indeed might be since the only video he uploaded so far shows him in a heavy winter coat wandering around frozen landscapes. Despite the attention the channel has received in the Russian media, the initial reason for launching it was more sentimental and personal. “When you try to tell people what Yakutia is they might not really understand. 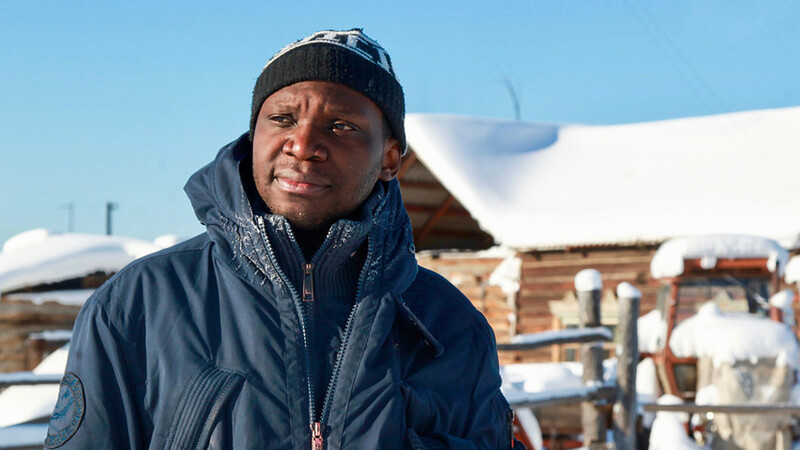 When you say it’s -50C, they won’t understand unless I record it on video and they can see it with their own eyes,” said Babatunde. Click here to read about the lives of Africans in Tsarist Russia.